The proliferation of very small satellites, like CubeSats, poses potential threats to spacecraft in orbit that should be addressed through guidelines that identify “red lines” that these spacecraft should not cross (Credits: CIA). The United States has warned it will not sign on to a Code of Conduct that “constrains our national security-related activities in space or our ability to protect the United States and our allies.” This statement is a reminder of the complexities of national defense in the space environment. Activity in space today is largely governed by treaties written in the 1960s and 1970s. Not surprisingly, these treaties were designed in response to the threats of their time: kinetic threats, like anti-satellite (ASAT) missiles and other physical means of attacking a spacecraft. Space systems, however, are now vulnerable to a variety of new forms of attack. Broadly speaking, these emerging threats take two forms: non-kinetic, cyber-enabled attacks made possible by connecting satellite communications systems to the Internet; and kinetic, satellite-to-satellite attacks enabled by the proliferation of inexpensive nanosatellites that are easy to launch and hard to detect, particularly in high orbits. The United States’ space security strategy and the international community’s norms of conduct must be calibrated accordingly. Deterrence should remain a key component of the United States’ approach in both outer space and cyberspace. Achieving deterrence in these realms is notoriously difficult, however. While the theories that informed Cold War-era deterrence will continue to be relevant, adapting to multi-domain threats also means reexamining certain strategic assumptions. The Code of Conduct initiative offers the United States an important opportunity to begin engaging spacefaring nations in discussion. Some of the most vital—and challenging—conversations should focus on articulating “red lines” that are relevant to modern threats to space systems. Clear red lines in outer space will strengthen efforts to deter aggressive behavior and help policymakers and military commanders determine when defensive action is justified. To be sure, red lines alone are not enough to achieve deterrence. Robust security in the space environment also requires the ability to detect and identify bad actors. Red lines and attribution are complementary components of space security, both strategically and technologically. The way the international community draws red lines may impact the development of technology built to enable attribution, for example. Clarity in one sphere informs progress in the other. The difficulties of attribution are clear. Nevertheless, the spacefaring community should not miss the opportunity to advance space security by developing red lines. The discussion below examines emerging threats to space systems, discusses deterrence in outer space and cyberspace, and explores how effective red lines could be developed. Until fairly recently, an adversary attempting to disable a satellite system needed either to destroy the system’s ground station or to target the satellite itself, usually with an anti-satellite (ASAT) missile or a powerful Earth-based jammer. Generally, only well-financed and sophisticated state actors were able to acquire and deploy these weapons. As a result, it was possible to attribute responsibility for attacks with relative ease and certainty. Connecting satellite systems to the Internet, however, has made them vulnerable to a variety of new forms of attack. Using the Internet to perform certain satellite communications functions allows would-be bad actors a variety of low-cost opportunities to access both ground stations and satellites. Almost any tech-savvy hacker is now a potential threat, and a successful hacker can do more than simply damage or destroy the satellite itself. The hacker can also deny, degrade, or counterfeit the satellite’s transmissions; access and leak imagery and other data collected by satellite sensors; or compromise other terrestrial or space-based networks used by the satellite. Without pervasive situational awareness and advanced technical attribution tools, perhaps complemented by other non-technical forms of information gathering, the attacker’s identity, affiliation, and location may never be known. In 1998, the US-German ROSAT satellite was disabled after it inexplicably turned toward the sun. NASA investigators later determined that the accident was linked to a cyber intrusion at the Goddard Space Flight Center. The attack is believed to have originated from Russia. In 2003, the Cuban and Iranian governments collaborated to jam Telstar 12, a US commercial communications satellite in geostationary orbit used to transmit programming by Voice of America to Iran. In 2009, Brazilian authorities arrested 39 university professors, electricians, truckers, and farmerswho had been using homemade equipment to hijack UHF frequencies dedicated to satellites in the US Navy’s Fleet Satellite Communication system for their personal use. In 2010, the head of Iran’s state media company acknowledged jamming Persian-language satellite broadcasts originating from other countries. According to a November 2011 report to Congress by the US-China Economic and Security Review Commission, at least two U.S. government satellites, Terra EOS and Landsat 7, have “each experienced at least two separate instances of interference consistent with cyber activities against their command and control systems.” In the case of the Terra satellite, the hackers “achieved all steps required” to assume control of the spacecraft. Satellite systems can be protected from kinetic and non-kinetic threats in several ways. The satellite itself may be hardened against radiation, micrometeoroids, and orbital debris. Ground stations can also be physically reinforced to protect against natural disasters and kinetic attacks, equipped with high-power radio uplinks that are difficult to jam or overpower, and use other physical and cyber security controls. Communications signals may be encrypted, employ unique satellite-specific digital interfaces, and be spread across a wide band of the radio spectrum. To minimize disruption in the event that a single satellite or ground station is disabled, satellite networks may use multiple satellites and ground stations to provide redundancy. Inevitably, these defenses are not perfect. They are also not enough. Despite the changing nature of space threats, however, many satellite systems are not built with sensors able to detect non-kinetic cyber attacks or technologically advanced sources of kinetic damage. Without specialized sensors, malfunctions caused by cyber attacks may be difficult to distinguish from failures with natural causes, such as solar radiation. It is also more difficult to detect malicious, co-orbiting nanosatellites. In short, inadequate sensors mean inadequate situational awareness. Inadequate situational awareness means vunerability. The problem only worsens as orbit altitudes increase. For instance, consider the Department of Defense’s Space Surveillance Network (SSN). According to public reports, the SSN can detect objects measuring less than 5 centimeters in diameter in low-Earth orbit. In geosynchronous orbit (GSO), however, the network can only detect objects larger than 1 meter in diameter. 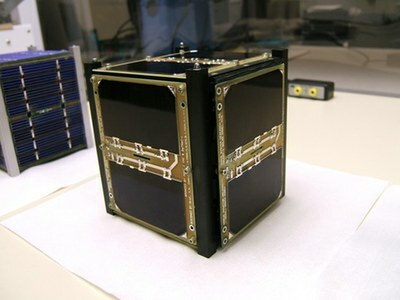 A CubeSat-class (a 10-centimeter cube) approaching a communications satellite in GSO would therefore be undetectable by the SSN. In short, while redundancy and other means of increasing hardiness against attacks are valuable, these measures have limited utility. Resilience allows space systems to survive when deterrence fails. It is not a deterrent in itself, except insofar as it might make an aggressor believe an attack would be ineffective and, hence, not worth pursuing. Moreover, even if perfect defense were technologically possible, it would be economically impractical. As a result, deterrence will and should remain a fundamental strategic objective in space. Effective deterrence in any theater requires red lines. Deterrence in cyberspace, however, is notoriously difficult. Deterrence in outer space is equally challenging. The convergence of the space and cyber domains, moreover, creates extraordinary urgency and strategic complexity. Without established red lines, military commanders are left unsure when defensive action is justified and unable to provide rules of engagement for the field. But, as is explained below, current space law does not clearly define red lines for non-kinetic threats. Red lines for kinetic threats, to the extent they exist, may be roughly summarized as follows: A spacefaring nation may operate freely in outer space as long as its spacecraft do not purposefully interfere with the spacecraft of another nation, except in self-defense. Red lines for non-kinetic threats are less plain, however. With respect to non-kinetic threats, the definitions of “due regard” and “harmful interference” in the Outer Space Treaty and “purposeful interference” in the United States’ National Space Policy are murky at best. It is also unclear what constitutes an “armed attack” for the purposes of Article 51 of the UN Charter. It is generally understood that a direct attack on a spacecraft with an ASAT missile would qualify both as an “armed attack” and as “harmful interference.” But what about harmful actions short of direct, kinetic attacks? There is no way to be certain how [international law on the use of force] will be applied by the international community to computer network attacks… If we were to limit ourselves to the language of Article 51, the obvious question would be, “Is a computer network attack an ‘armed attack’ that justifies the use of force in self-defense?” If we focused on the means used, we might conclude that electronic signals imperceptible to human senses don’t closely resemble bombs, bullets, or troops. On the other hand, it seems likely that the international community will be more interested in the consequences of a computer network attack than in its mechanism. There is no international consensus on a precise definition of a use of force, in or out of cyberspace. Consequently, individual nations may assert different definitions, and may apply different thresholds for what constitutes a use of force. Thus, whether in the cyber or any other domain, there is always potential disagreement among nations concerning what may amount to a threat or use of force. In space law, as in the cyber realm, there is presently no international agreement on the appropriate legal treatment of non-kinetic attacks. State practice sheds little light on the question. For instance, despite a long history of interference by some countries with others’ space activities, such as through satellite jamming and debris-generating ASAT testing, Article IX of the Outer Space Treaty has never been formally invoked. But as Ambassador Gregory L. Schulte, then acting Deputy Assistant Secretary of Defense for Space Policy, observed, space is increasingly “congested, competitive, and contested.” In this context, it is both impractical and strategically unwise to assume nations’ past practice will endure. A purposeful act that: (i) is reasonably likely to result in damage to or destruction of a spacecraft or in harm to personnel on board a spacecraft; (ii) endangers, degrades, obstructs, or interrupts the operation of a spacecraft; or (iii) accesses telecommunications, imaging, or other spacecraft systems without authorization. Second, the drafters should identify and propose a non-exclusive list of red lines. This list should describe both kinetic and non-kinetic activities that could constitute harmful interference. These red lines would include a direct ASAT attack on a satellite, of course, but might also encompass acts such as a nation destroying its own satellite in a manner that creates long-lasting debris in a commonly-used orbit, or introducing a malicious software virus to another nation’s satellite through a hacked satellite ground station or a co-orbiting spacecraft. The spacefaring community should also discuss red lines for threatening behaviors that, while short of a kinetic attack, would nonetheless justify defensive action. For example, the Code’s drafters could elaborate the circumstances in which a satellite approaching another satellite too closely would be considered to cross a red line, such as an approach made without providing identifying information or other advance notice. This model would roughly approximate international norms regarding vessels in international waters, which may take defensive action if another vessel approaches too closely in a threatening manner and does not give way or respond to requests for communication. Such a red line could be enforced by requiring satellites to transmit transponder signals similar to those used on aircraft and large commercial vessels. In the end, though, the discussion itself will be as valuable as the red lines that emerge. By enabling nations better to understand each other’s interests and expectations, the spacefaring community as a whole can begin to prepare to meet novel, multi-domain challenges. International agreement on the definition of “harmful interference” and a list of red lines would strengthen efforts to deter aggressive behavior in outer space. Clearly defined red lines would also help policymakers and military commanders determine when defensive action is justified under international law and allow aggressors to anticipate when their actions will provoke a response. Finally, these discussions may spur the development of helpful technologies to improve space situational awareness, increase trust and transparency among satellite operators, and permit attacker identification, as well as provide a foundation for later agreement on legal and technical attribution standards. The International Code of Conduct initiative is an important opportunity to begin these discussions. It should not be missed. While establishing red lines in space will not alone fully deter potential attackers, the community of spacefaring nations must begin to engage these issues. Threats in space are evolving. So too should the law. This article was originally published on March 5 by The Space Review. It is reposted with permission of the authors and editor. The opinion expressed in this article are those of the authors, and do not necessarily reflect those of the International Association for Advancement in Space safety and the International Space Safety Foundation, publishers of the Space Safety Magazine.